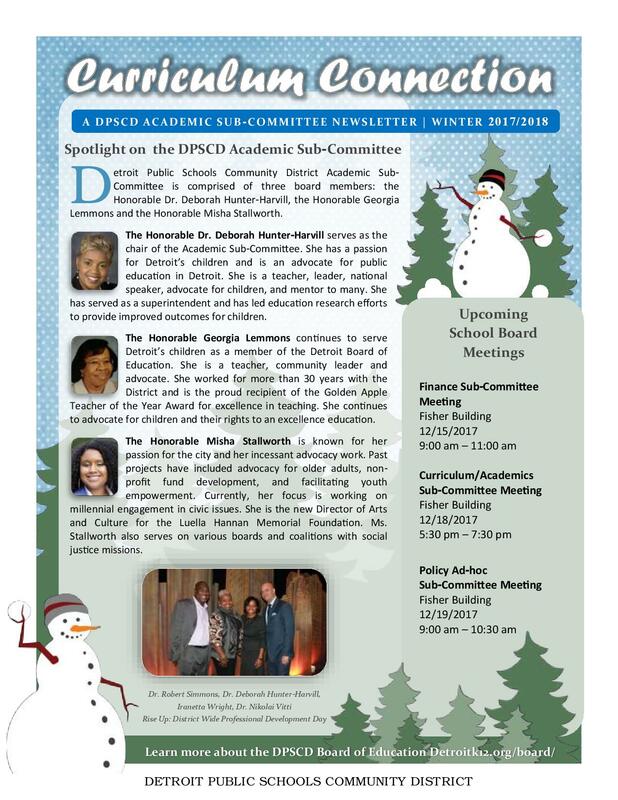 DPSCD has released the Winter 2017-2018 edition of the Curriculum Connection, a DPSCD Academic Sub-Committee newsletter. Included, you will find a spotlight on the members of the sub-committee, meeting recaps, school news, academic initiative updates and more. This community piece will provide pertinent information of what is happening in the academic and curriculum world at DPSCD. This entry was posted in Info News Center, News and Press Releases and tagged Academics.